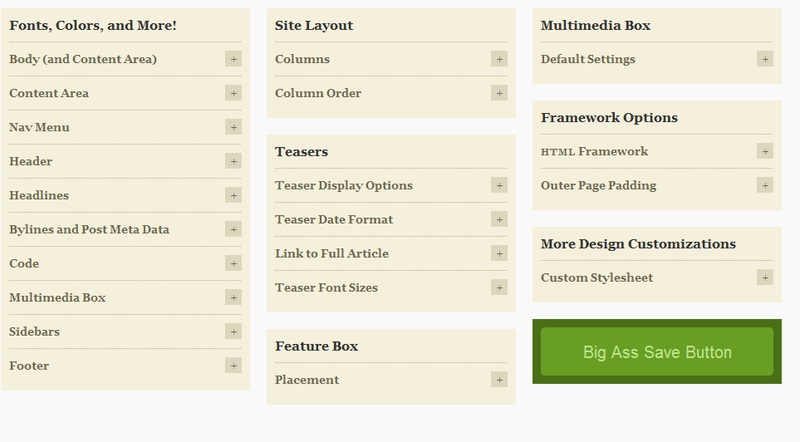 April 8th in Premium Themes, Themes for Pro Bloggers by Wordpress Jedi . If you have been in the business of blogging and have not heard of Thesis theme so far, you have missed on a whole lot of awesomeness. There are plenty of pro blogging premium themes for WordPress that can help you start a new blog or give your blog a makeover for less. But Thesis is without a doubt at the very top when it comes to ease of use, potential, and customizability. Thesis 1.7 is the latest edition of Thesis WordPress theme and has gotten a huge boost of power to help pro bloggers focus more on what’s important for their business and worry less about issues with their theme. The developers behind Thesis have focused on providing a set of powerful features to WordPress bloggers to help them customize the look and feel of their blogs easily and optimize their web sites for search engines in the process. So you don’t necessarily have to hard code any on-page optimization tactics to get your WordPress website ready for the search engines. Thesis 1.6 already covered a lot of these options under the options page in the back-end. But Thesis 1.7 has improved a lot in that area and does seem a bit more organized. Thesis 1.7 has some of these options broken down into various sections. So customization options for the home page have moved to a whole different page (to make the whole process less confusing). So these features have not disappeared if you are comparing the two images above. You may ask what happened to some of the options that had disappeared from the first Options page. 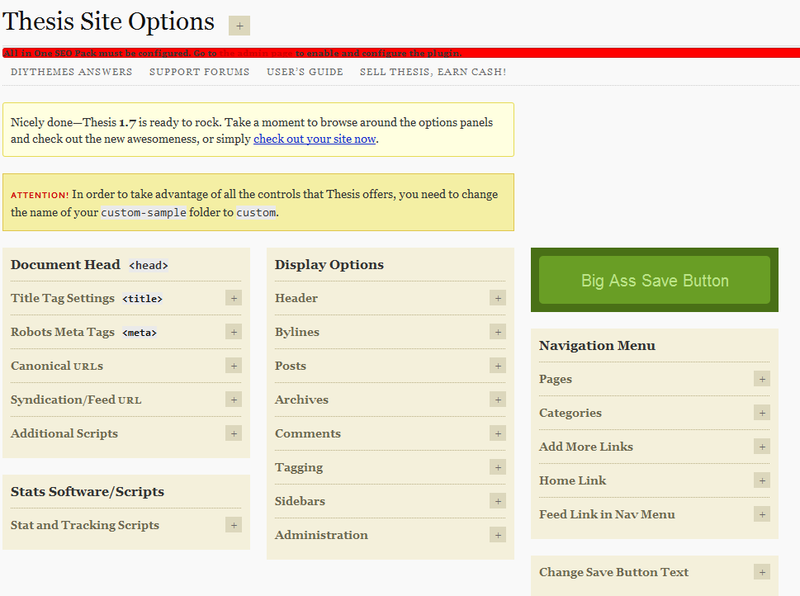 Thesis 1.7 comes with a whole new page (Page Options) to help you manage your pages’ settings more effectively. 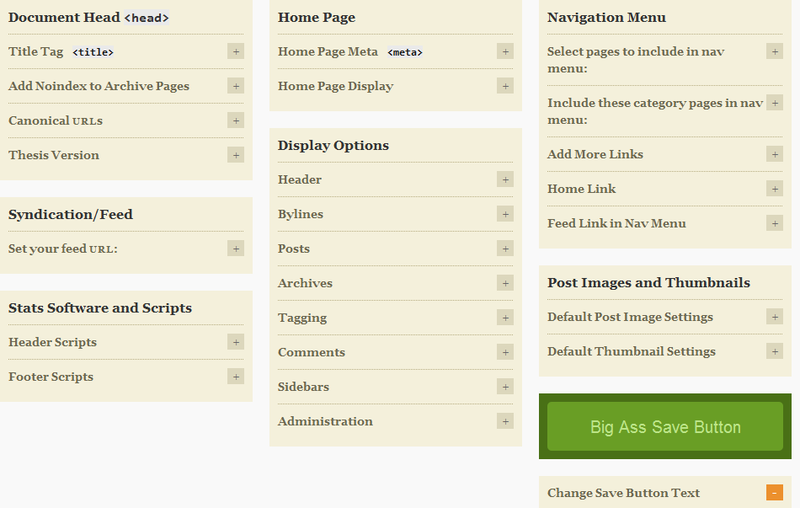 So you can easily customize your home page, category page, and tag page options. All these options are now available in your dashboard’s option bar. So once you install Thesis 1.7, you should see these new options links in your Thesis section. Page Options, Site Options, and Manage Options are now included under your Thesis box in your WordPress dashboard. Now here is my favorite part. Thesis 1.7 makes it so easy to save your options and settings and have the ability to restore them if something happens to your website. The Manage Options item makes it possible to prepare yourself for the worst case scenario just in case your blog disappears or breaks. All in all, Thesis 1.7 goes a few steps above Thesis 1.6 and is certainly worth the upgrade. Of course, if you have the earlier version of Thesis, the option is available to you for free. 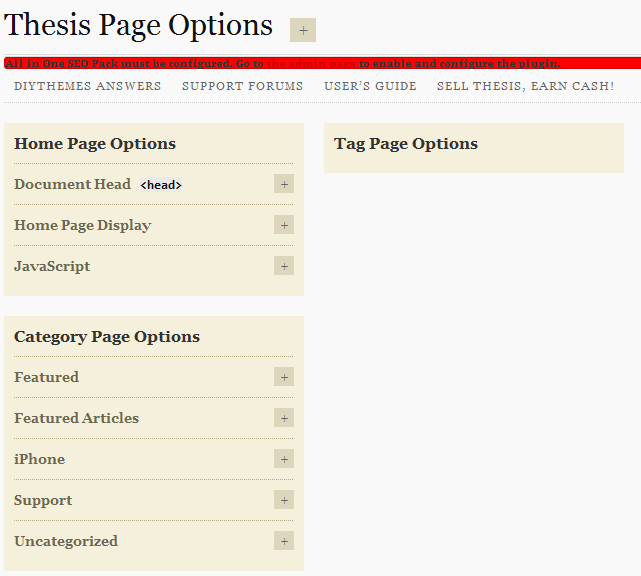 If you have been waiting to have more options to optimize your Thesis theme, Christmas has come early with Thesis 1.7. Just imagine what Thesis 2.0 or 3.0 will be capable of.